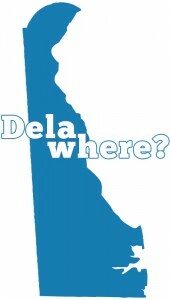 Who would retire to Delaware? One of my agents, Debbie Shearer, was at a recent conference of REALTORS® nationwide who work with the 55+ market. Many of them were from states like Florida, California, Arizona and Nevada, states that have always been popular retirement states for people looking for the idyllic lifestyle often pictured in those Retirement magazines. One of the attendees asked Debbie “Why would anyone retire to Delaware?” as he chuckled rather derisively. He came from one of the states with the communities of 8,000 people or more living the dream with planned activities galore. When he heard that even our largest 55+ community in Delaware will be 2,000 homes when complete, he was aghast! Some would have you think that when Baby Boomers retire, they will need daily direction on what to do with themselves. I think that those who choose to retire in Delaware are different. Who would retire to Delaware? How are Boomers who retire in Delaware different? It is an easier decision to move clear across the country or all the way south to the Carolinas or Florida if a retirees family has scattered. If one child is in Colorado, the other in California and another perhaps in Texas, long distance travel is always going to be necessary to see the family. But, when it’s possible to live within a 2 – 4 hour drive of your children and grandchildren, in a coastal state offering a nice lifestyle, doesn’t Delaware make the most sense? Try Delaware First! I guess Boomers who retire in Delaware don’t need a Lifestyle Director to tell them how to have fun, although some of our communities do have one. They find time here to explore all the cultural events, the outdoors lifestyle for truly active adults and become involved in many worthwhile organizations and charities. In short they now have time to pursue their interests and find that Delaware is a great place to live. Ready to move on? Sign up for our FREE Publications, order your FREE Buyers Guide. Ready to be LOCAL? Call 302-424-1890, or email us, let’s get started today!